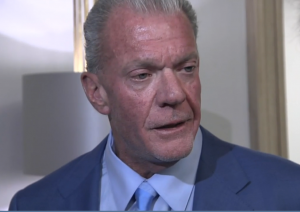 Jim Irsay, owner and CEO of The Colts told reporters at the NFL Winter Meeting in Texas that he thought that there was “a real want and real enthusiasm from the powers that be to have an NFL team there [Vegas]”. He also added that he thought Las Vegas could support an NFL team and that he saw little or no optimism with respect to a new stadium in Oakland. Rather surprisingly, Comissioner Goodell echoed some of Irsay’s sentiments. At the same meeting Irsay said he would be “surprised” if the San Diego Chargers exercised their option to relocate to Los Angeles before the January 15th, 2017, deadline. Adding that it would be “fruitless” for the league to extend the long-established deadline. Previous Previous post: Oakland too little, too late?